Mass consciousness regarding the abuse of power by the U.S. Government, now in the news thanks to Julian Assange and Edward Snowden, has mostly focused on agencies that spy on innocent people using warrantless wiretaps and email intercepts. While these abuses by the National Security Agency and the Department of Justice are sometimes used against US citizens who challenge U.S. policy on such topics as imperial wars and corruption of governance by Wall Street, they are also used against elected U.S. officials, foreign diplomats, and United Nations personnel. As electronic data collection by commercial data brokers and identity theft criminals increasingly becomes a nuisance and menace, communications monitoring by the U.S. Government threatens free speech, peaceful assembly and the ability of civil society to hold government accountable. Since the 1960s, the abuse of power by U.S. agencies like the FBI and CIA has become common knowledge. Their involvement in undermining the Civil Rights Movement at home and the human rights movement abroad is well-documented. 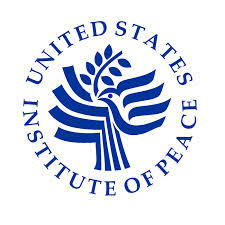 Less well-known is the involvement of the U.S. State Department in the undermining of democracy abroad, through such programs like the National Endowment for Democracy, US Aid for International Development, and the United States Institute of Peace.